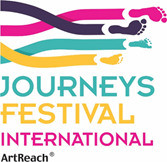 Promo: Journeys Festival International Leicester. 17-26 August 2018 – East Midlands Theatre. 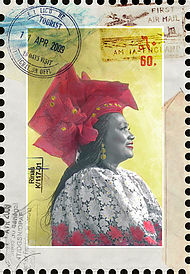 Eye-popping Exhibitions and Refugee Rhythms Feature at City Centre Festival. A feast for the senses heads our way as this year’s Journeys Festival International Leicester cooks up an incredible line-up for the 6th year running. 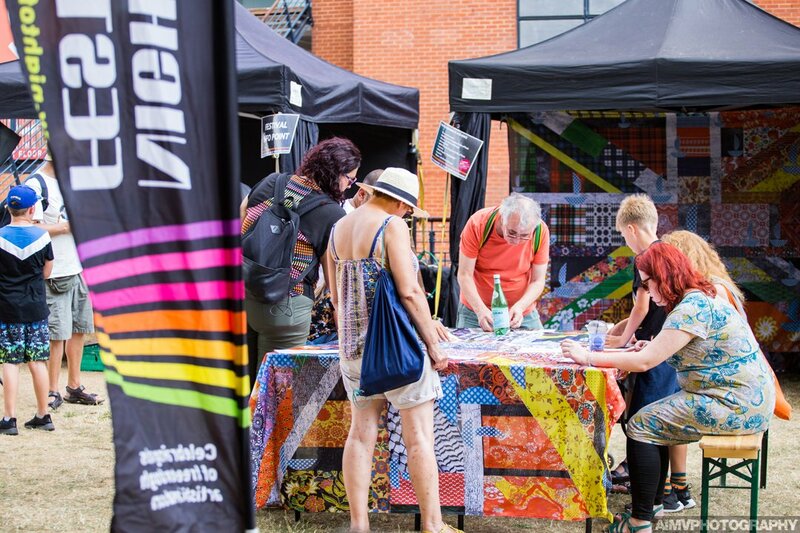 Nearly all of the events, exhibitions, workshops, screenings and activities at the Festival are free of charge so there’s no need to look elsewhere for great culture at the end of August as it will be on our doorstep. 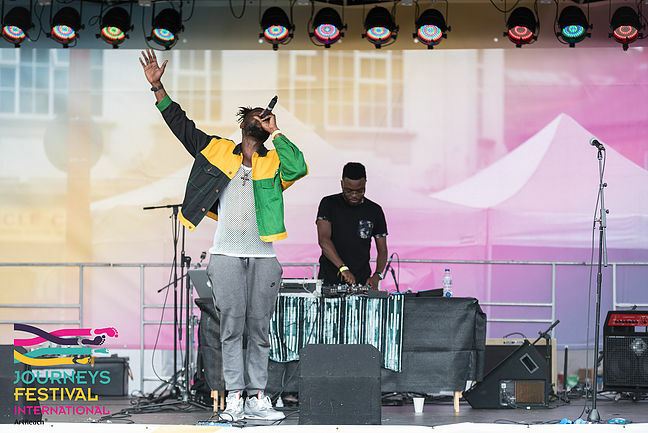 From 17-26 August, Journeys Festival International Leicester, explores refugee experiences through great art, from a large-scale outdoor art exhibition to a full Weekender of music and international performance, there’s something for everyone within this major Leicester festival. Highlights of the festival include; ‘Look Up’ a large scale outdoor exhibition which will be installed across the city centre; animated shorts and documentary screenings; and several art exhibitions around the city. We can also expect creative workshops, cookery demonstrations and performances from international companies, as the Festival strives to identify and exhibit the exceptional work and extraordinary talents of refugee artists. The powerful installation Suspended, by artist Arabella Dorman, which is open until August 28 at Leicester Cathedral is also part of this year’s Festival and not only can people engage with this thought provoking exhibition free of charge, there are more associated events to enjoy too. The Cathedral will host a screening of Human Flow by Ai Weiwei on 25 August and there is a special concert planned for 24 August featuring two gigs in one night, free access in the magnificent settings of the Cathedral. Other highlights include, Future Aleppo, an exhibition by a 13 year old boy who, initially, rebuilt his home city of Aleppo in paper models as a reaction to the bombing of his hometown. Future Aleppo has since been converted into a virtual reality experience and you can witness both paper and VR installation at Phoenix during the Festival. Journeys Festival International also hosts a ‘takeover’ of New Walk Museum on 18 August, a full day of creative arts, animated shorts for youngsters, a museum re-labelling programme and other things to keep children and young people entertained. Soft Touch Arts is also involved on 18 August, as the team host cookery demonstrations, during which, participants can see world food preparation and then get to sample the goodies they have learned about that day. It’s a seriously impressive programme and as Leicester is one of the most intercultural cities in the UK, it’s programme that will engage people from all walks of life but also a programme that helps us create a welcoming environment to those who are making this great city their new home. To see the full programme head to www.journeysfestival.com/leicester or grab yourself a printed brochure from LCB Depot. Promo: Introducing the brilliant ‘Break A Leggers’ theatre reviewers Simon and Nathan.